Iron particles coming from hydrothermal vents along volcanic mountain ridges deep in the ocean persist for more than 2,500 miles across the Pacific, according to a study led by a Texas A&M University researcher. Jessica Fitzsimmons, Assistant Professor in the Department of Oceanography at Texas A&M, and colleagues from Rutgers University, the University of South Carolina, the University of Minnesota, and the Woods Hole Oceanographic Institute have had their work published in the current issue of Nature Geoscience. The team examined a 2,500-mile-long, deep hydrothermal plume of water in the Central Pacific Ocean, specifically studying the iron transformations as the heated water mixes with cold, deep Pacific water. Iron is important in the ocean because iron concentrations are generally low, and microscopic organisms called phytoplankton – a key part of the marine food chain – need iron to survive. Phytoplankton serve as food for the fish that feed people all over the world. “No one ever knew how far these metal particles, which are 7,000 to 8,000 feet deep in the ocean, could travel away from their source vents,” explains Fitzsimmons. “So we couldn’t understand what effect they had on the overall chemistry of the world’s oceans.” By measuring hundreds of seawater samples along the track of the plume, the team found that iron particles persisted for thousands of miles. The biggest surprise was that through exchange between hydrothermal iron particles and the iron dissolved in seawater, the slowly sinking particles caused the dissolved iron to sink by 1,000 feet while it was carried west. Fitzsimmons’ team’s conclusions suggest that the supply of iron by hydrothermal vents and subsequent transformations when mixing with seawater are important for scientists to understand in order to predict how the oceans could help to reduce the carbon dioxide levels emitted by fossil fuels that are leading to climate change today. The project was funded by the National Science Foundation, Chemical Oceanography, and was associated with the International GEOTRACES Program. For more about the study, go to http://www.geotraces.org. 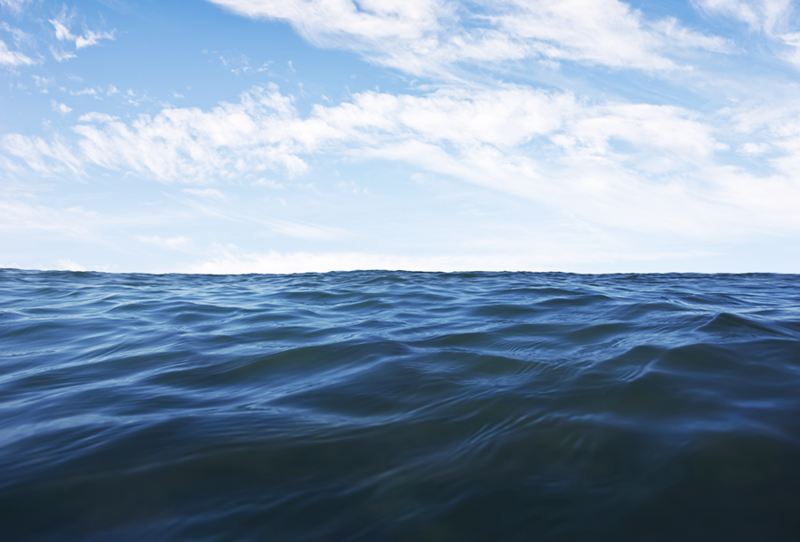 Deepwater plumes in the Pacific Ocean can carry iron particles 2,500 miles.